Bogota – Carmenza Gomez was planning a surprise Christmas dinner in the winter of 2008 to celebrate having her eight children back together under one roof in their home in an impoverished suburb in Bogota, the capital of Colombia. That summer, the family had finally been reunited after years apart due to the sons’ military service. It was months away, but Carmenza wanted to throw an elaborate dinner to share their first Christmas together in years. According to initial official reports, Victor was killed in combat with the Colombian military and dressed in uniform belonging to the Revolutionary Armed Forces of Colombia (FARC) rebel group. But the family maintained Victor wasn’t a rebel fighter. 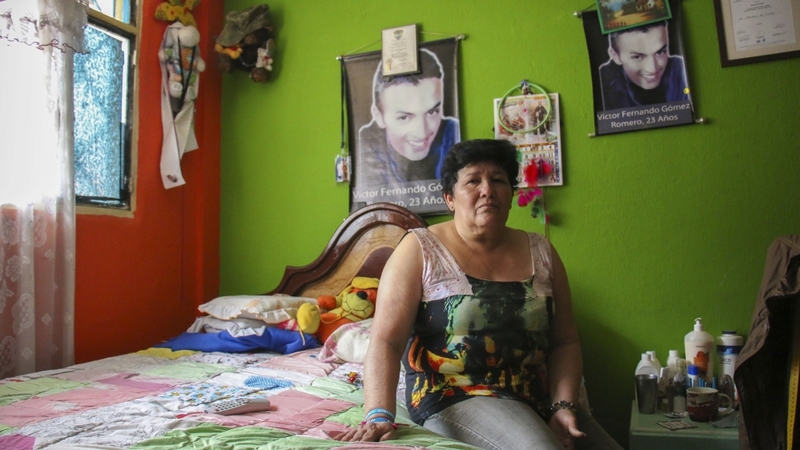 The mysterious deaths of Victor and other young men from Soacha led to a government investigation in September 2008 that uncovered what is widely considered one of the worst human rights abuses in Colombia’s history. It was revealed that the Colombian military lured, killed and falsely reported civilians as “combat kills” to boost body counts in the war against the FARC (the Revolutionary Armed Forces of Colombia). The military committed at least 2,248 of these extrajudicial killings, known as “false positives” between 1988 and 2014, according to a report from Colombia’s prosecutor’s office, but rights groups say the number may be much higher. The victims were generally young men between the ages of 18 and 30 and many worked as farmers or informal labourers in the peripheries of the city. Although the conviction seemed to initially bring some justice and closure to the Gomez family, Carmenza, along with other victims’ mothers, now fear those convicted may receive impunity or less harsh sentences after the military men requested their cases be heard as part of a transitional justice system, which was set up under the 2016 peace deal between the FARC and the government. 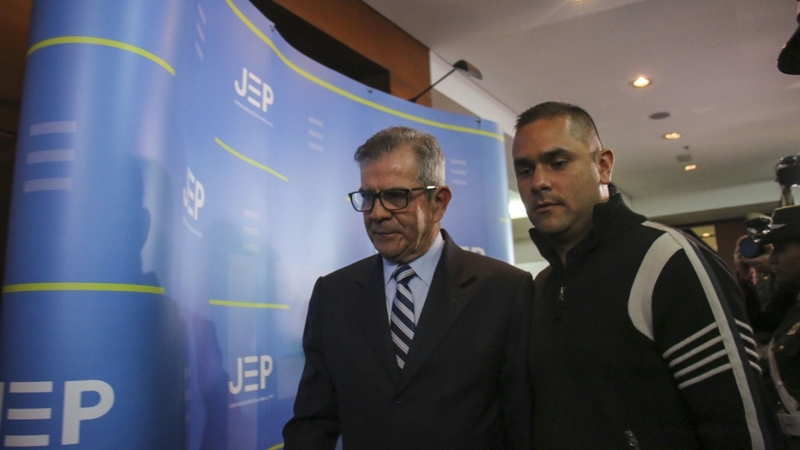 The Special Jurisdiction for Peace (JEP) began operations earlier this year to investigate and serve justice in cases of human rights violations committed in relation to Colombia’s 52-year-old armed conflict. In July, the JEP announced it would prioritise cases of extrajudicial killings falsely presented as combat kills. According to the prosecutor’s office, about 90 percent of the 1,944 members of the armed forces who had submitted their cases to the transitional justice system were implicated in cases of extrajudicial killings. About 965 military members were released from prison and granted freedom in return for their commitment to tell the truth in the JEP. Another 134 were also released but were ordered to stay within military or police barracks while their cases are heard. “These benefits were granted because these cases are prima facie [under initial examination] considered to be related to the armed conflict,” Catalina Diaz, one of the 38 magistrates that make up the JEP, told Al Jazeera. I didn’t tell any of them what I was planning [for Christmas]. It turns out my wishes were never fulfilled. That’s when they took Victor and killed him. For the victims’ mothers, including Carmenza, who waited nine years for a conviction in the ordinary justice system, seeing the men convicted for her son’s death receive such benefits is difficult to accept. Carmenza and others who are part of the Mothers of Soacha (MAFAPO), an organisation formed in 2008 by the families of false positive victims in Bogota, want the JEP to not only hand out justice but uncover the “greater truth” behind the killings. “The military men who shot our family members say this is what happened, I shot him, but beyond that, they can’t tell us anything else. We need to know who ordered these crimes. That’s the greater truth and that’s what we want to know now,” Jacqueline Castillo, a member of the Mothers of Soacha whose brother was killed in 2008, said. Montoya is under investigation by the prosecutor’s office for his alleged role in 44 extrajudicial killings reportedly committed during his time as commander of the 4th Brigade troops. He also served as top commander of the Colombian Army at the height of the extrajudicial killings from 2006 to 2008. For Castillo, Montoya’s testimony is imperative to understanding why her brother and thousands of civilians were killed and how high up the command chain knowledge or responsibility for these killings reached. The JEP will decide whether it will hear Montoya’s case and those of others allegedly involved in the false positive scandal in the coming months. Human Rights Watch (HRW) has indicated “ambiguities and loopholes” in the implementing legislation of the JEP “could allow senior officers responsible for ‘false positive’ killings to escape meaningful justice,” said Juan Pappier, Americas researcher for HRW, in a statement to Al Jazeera. “These include a definition of ‘command responsibility’ that distorts the definition under international law in a manner that could allow army generals to evade accountability for the hundreds of killings committed by army soldiers under their watch,” he said. We’re here. And here, we expect to hear the greater truth. At least 900 members of the armed forces have been convicted for homicides committed by state agents, a representative of the Attorney General’s Office told the Colombian newspaper, El Colombiano, in 2016. Still, victims, lawyers’ collectives, human rights organisations, and the International Criminal Court (ICC) point out most senior officers have yet to be convicted or charged. Last year, the ICC identified 23 generals and six active and retired colonels, including the current top commander of the Army, whose cases could be taken up by the international court if the ordinary justice system and the JEP are found unwilling or incapable of serving justice. As the Mother of Soacha’s presentation wound down on Friday at the JEP, Castillo, dressed in a white T-shirt that read “10 years alive and united for the truth,” reminded Montoya and the rest of the members of the armed forces that, just as they have done before, the victims’ families will continue to demand their rights as another chapter in their search for justice and truth begins.